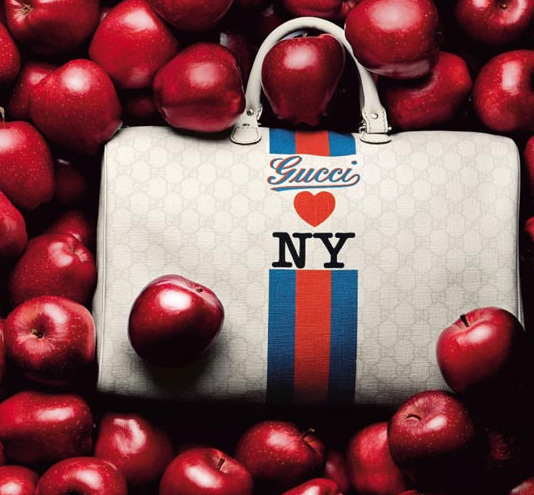 When Gucci covered the city with "Gucci loves NY" ads to celebrate the Fashion Week opening of its new Fifth Avenue boutique, Counterfeit Chic wondered for a moment whether the fashion house had cleared the ad campaign with the notoriously determined defenders of the state's trademarked slogan, "I ♥ NY" -- and then dismissed the suspicion. After all, if you're going to spend millions on an ad campaign, create limited edition merchandise with proceeds earmarked for charity, and promote an interactive website that actually links to the official state tourism site, you at least run it by legal, right? Perhaps not. The New York Post reports that Gucci launched the campaign without ever contacting the state agency responsible for the trademark. 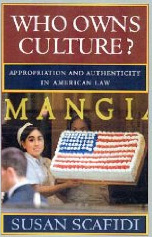 (Note to the Post: Common error -- but trademark and copyright are not interchangeable.) Apparently New York state and Gucci officials met on Friday to find a way to share the love.